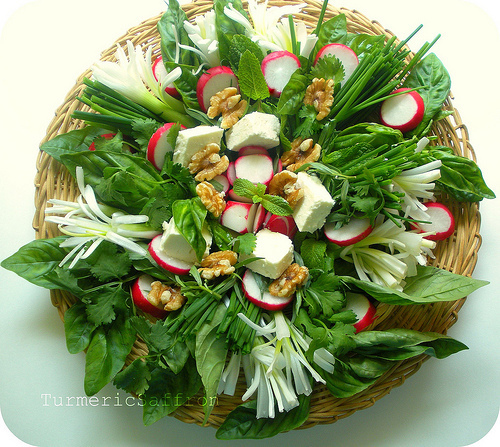 How beatifully arranged your sabzi are! I love the idea of this as a side dish to any meal. Herbs can just make a dish that much more delicious. This dish sounds incredible with all these beautiful fresh herbs! My wife is Persian and she really loves the herbs and spices. Most of the American substitutes will work, but she prefers the originals. Keep up the great work with your articles and please stop by my health blog sometime. The web address is http://healthy-nutrition-facts.blogspot.com/. Beautiful! Your photos are eye-catching and bring back many happy memories of enjoying this beloved herb garden on a plate! I just found your blog and delam havaye vatan karde (in a good way). So much more healthy and delicious than a "western" salad! You really should write a cookbook. I'd buy it even though I also use the website. I spent a lot on a certain large Persian cookbook and it's filled with typos! It's been reprinted a bunch and it still has frustrating typos that can make or break a meal. And for those of us who are knew at Persian food, we do not need typos! beautiful fresh pictures. we call vegetables subzi in Hindi, amazing how language gets transported and shared. Love it. 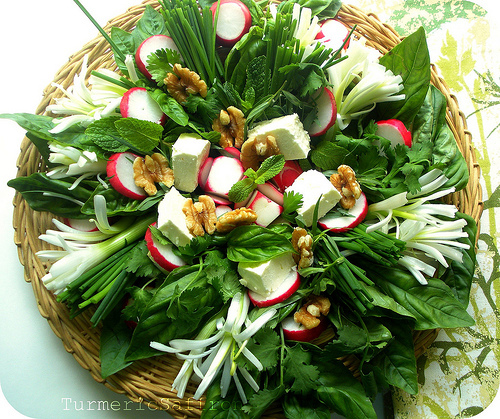 It's funny how a simple thing such as reading about sabzi khordan on your blog makes me so happy to be an Iranian! 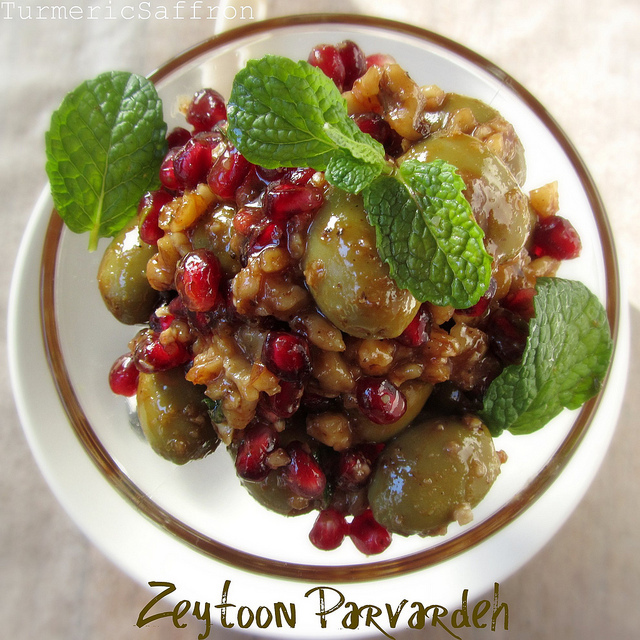 Also, tahchin and mirza ghasemi (both according to your blog recipes!) are cooking on my stove. After having tried some of your other recipes, I know they'll be delicious. Thanks for blogging! Goli, thanks so much for your kind words. I'm so glad you like my blog and find it useful. My favorite was rayhan banafsh. My parents brought the seeds from Iran and every summer I plant them along with regular rayhan,Nanah,tarkhon,tarreh, and shahi. All in wood boxes in my balcony. My girls love them and it is a enjoyable hobby. Beautiful arrangement, beautiful photos, beautiful delishicousness.